Better late than never! 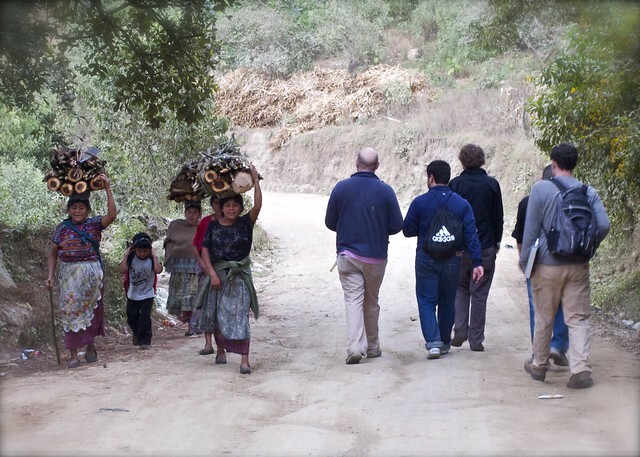 Check out some photos from our trip last January below! Bienvenidos a Cerro Alto! 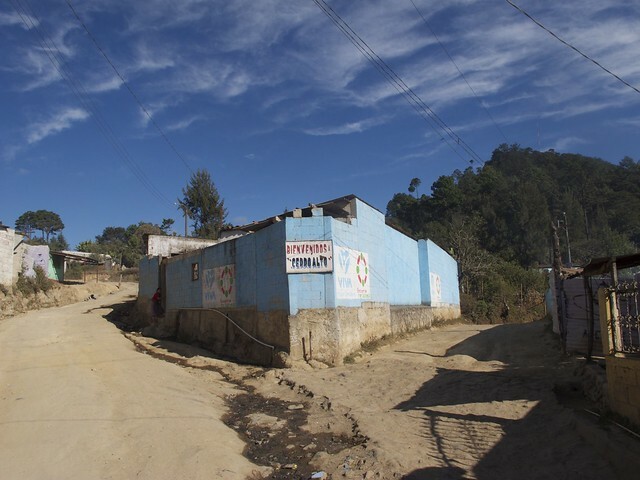 This fork in the road marks the beginning of this rural community high in the mountains of Guatemala. 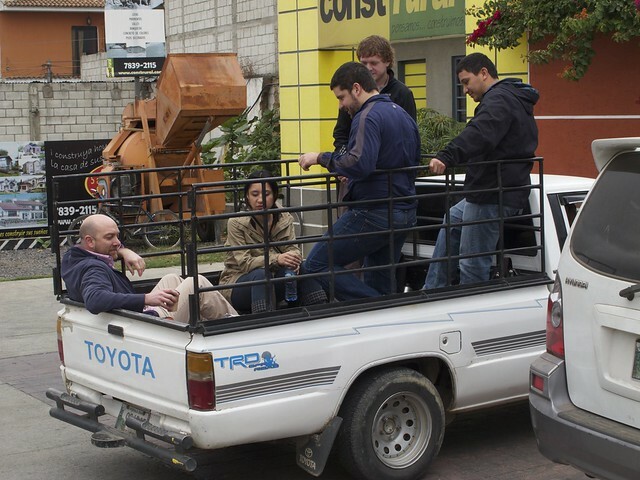 EWB stayed in the nearby town of Chimaltenango, so each day we hired a truck driver to bring us to Cerro Alto. The trip takes around 20 minutes. Paul and David got to work right away GPS-locating the community’s piping network. 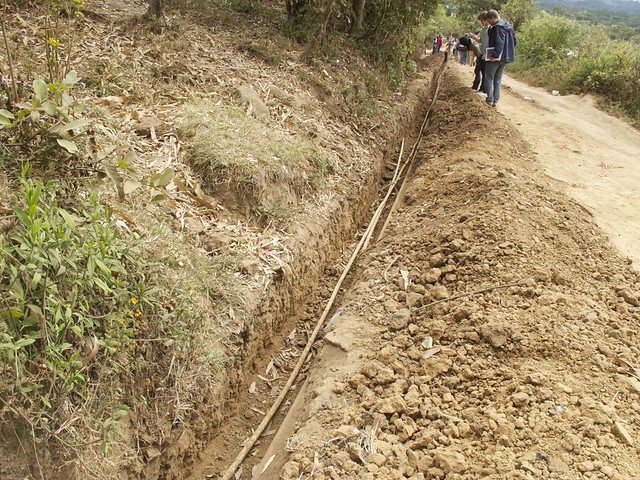 The community hand-dug this trench in preparation for the pump installation. 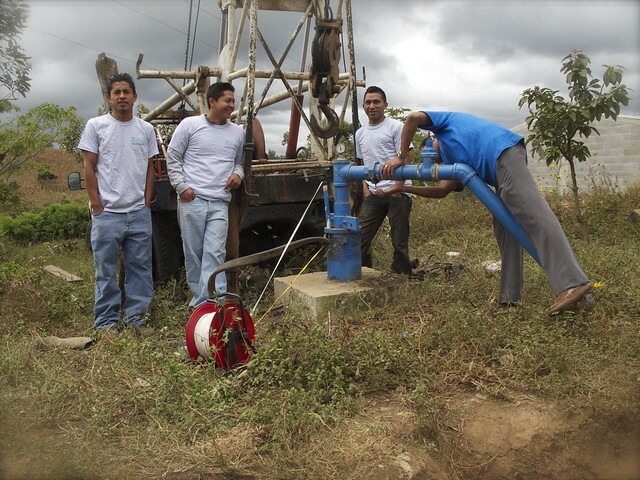 Walter, the contractor, and his crew preparing for the pump installation. 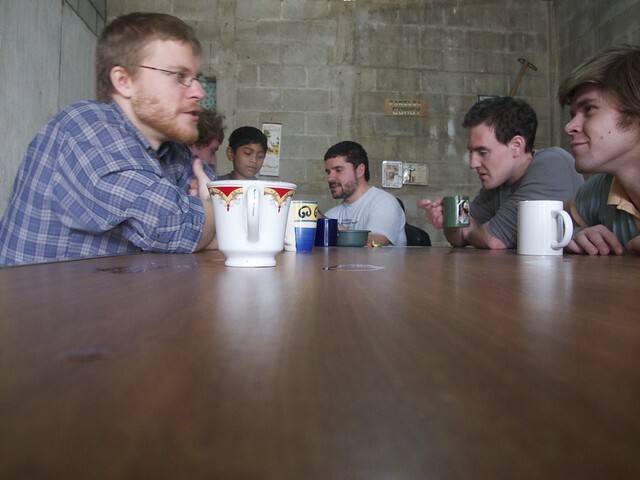 EWB congregates around Miriam’s table for fresh tortillas and coffee. 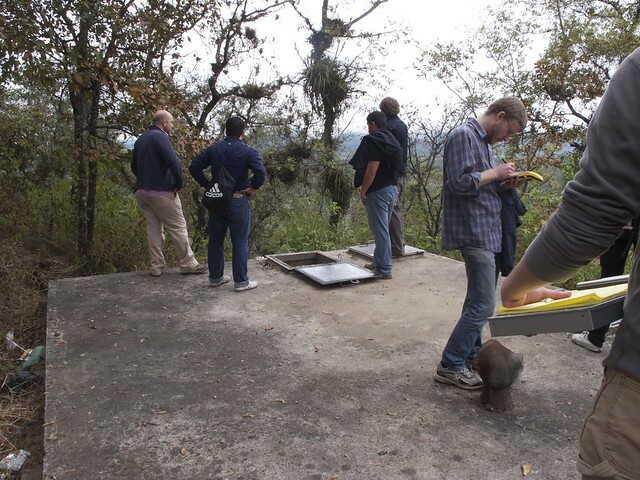 The crew checks out the the water tank. 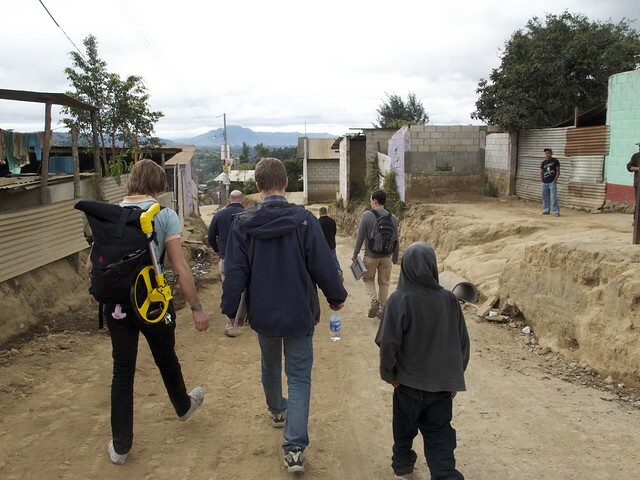 Guatemalans to the left, Americanos to the right. 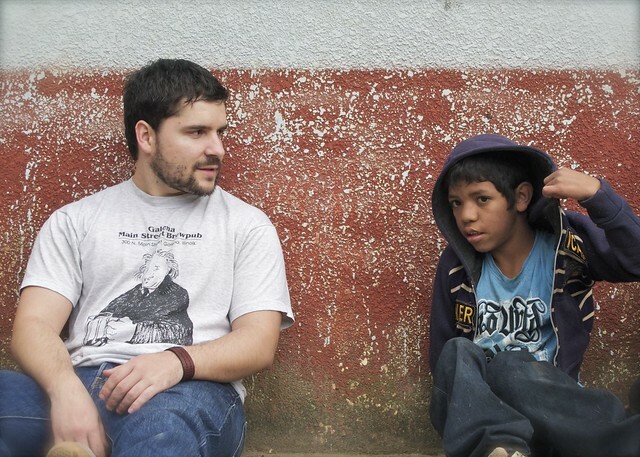 The children took a liking to Felipe. We will be at the Fun Fair East this Wednesday from 11-4. Contact us if you’d like to help out! Our first General Body Meeting will be on Tuesday, September 11th at 5pm in our usual location, ERF 1047. This event is planned for June 9. We need runners, walkers and volunteers. joining us as we compile and discuss designs, costs, and best alternatives. placement of their wastewater from laundry, cooking and dishwater. to present to the community.